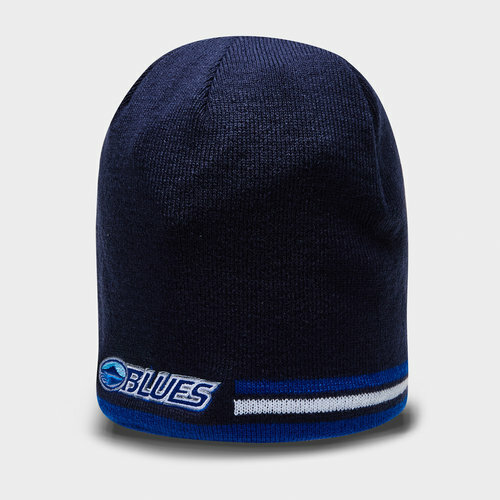 Stay warm and comfy when cheering on the Landers in this Blues 2019 Super Rugby Bobble Beanie from Brandco. The Blues of the Super Rugby league are one of the most successful teams in Super Rugby history. They have linked up with Brandco to produce some leisure and training wear. This soft beanie hat comes in navy with a white and royal bluye stripe and of simple design. Designed for ultimate comfort, the design across the front is the club badge.